A standard workout to be repeated weekly. The fitter you become, the faster you go! Learning to swim takes time and patience. Many parents are eager to know how long it will take for their children to become proficient in the water. While the answer to that question varies from child to child, what we do know is that the more you practice, the quicker the results. 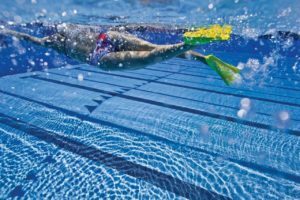 Laguna Fin Company is making waves in the swimming community. 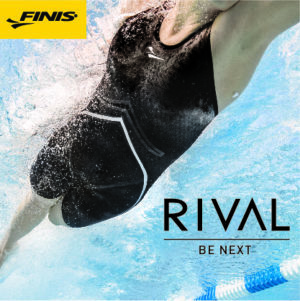 The inventor of the adjustable fitness swim fin has teamed up with Olympic Gold Medalist Kaitlin Sandeno, an owning partner and Laguna Fin brand ambassador. While technology is extremely important to the advancement and progress of swimming, we need to be very careful about how we use this new information. Combining speed and equipment is a great way to get a full body workout, but it’s crucial to pick equipment that won’t interfere with proper technique at high speeds. As every athlete knows, an infinite number of factors can make or break performance. It’s why there is so much focus on crafting the perfect diet, or designing a training regimen to best build muscle and increase endurance. But there is one key factor in athletic performance that has seemed untouchable: the air. Streamline Brands is excited to announce the rollout of our enhanced learn to swim curriculum across our family of swim schools: Swimtastic, SafeSplash, and SwimLabs. 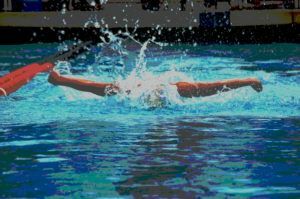 A definition of success based on fast times and victories can be seductive but also dangerous to a swimmer’s well-being, as Isabelle Robuck explains in “Defining Success Beyond Fast Times and Medals Just Might Save Your Swimming Career (and Life)”. This week’s IM set is a staple for stroke work. For best results, mix in some swims off the blocks – this would be a great way to build in some speed during the middle of the set.